There is no better time than the present to anoint another Independence Bank Player of the Week. Independence Bank is proud to sponsor a weekly article highlighting players in the areas where Independence Bank flourishes who embody the same type ofrevolutionary service to their respective football teams which has made Independence Bank unique and special in the banking industry. Independence Bank has a goal of achieving everyday excellence, and this week we are focusing on a player whose performance both has and continues to exceed both the Owensboro Apollo and Owensboro community’s expectations. 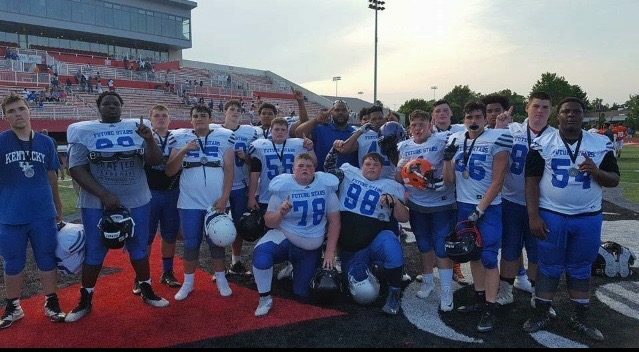 Today, we are focusing on Class of 2019, RB, Mariano McKenzie from Owensboro Apollo. Coach Phil Hawkins’ Apollo Eagles are located right down the road from 3 Independence Bank branches on 2425 Frederica Street, 2465 W. Parrish Avenue, and 3228 KY-54, respectively. Apollo is really going to miss the 5-10, 175 pound running-back affectionately referred to as Mo-Speed. 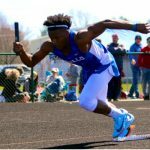 Mo-Speed is an apt nickname for the multi-sport, varsity star who is a fixture on Apollo’s track team as a sprinter in addition to what he does on the gridiron and in the weight room. When looking over Mariano’s skill-sets, it is easy to see why he is attending Mount St. Joseph University next year as a member of its 2019 football recruiting class. McKenzie followed up a 1,300 yard campaign as a junior with a 1,000 yard output in 2018. He carried the football 177 times and averaged close to 5.65 yards per carry playing in Kentucky’s 5A classification all against a slate of opponents who knew, full well, he was a focal point of the offensive game plan. Mariano has been timed at 4.6 seconds flat in the 40-yard dash, has run the 100-meters in 11.71 though that time is from last year and we are sure he has improved, and has a measured standing vertical of 31-inches. McKenzie, also a member of the Power-lifting team at Apollo, lifted in last month’s Kentucky State Championships in the 175-pound weight class. He bench pressed 280-pounds in competition, power-cleaned 260 pounds (again in competition), all while weighing in at 172.2 pounds and finishing third in his weight class. Congratulations to Mariano “Mo-Speed” McKenzie for his Revolutionary Play which has earned this week’s recognition from the fastest growing bank in the Commonwealth of Kentucky…your friends at Independence Bank. Next Post:Jaiden Jackson, Class of 2020, is he Murray’s top-remaining Tiger?